In just 36 hours students from around the world expressed their ideas for social good using cutting-edge tech like Artificial Intelligence and Mixed Reality. The two winners were..
Zelixa – Helping dyslexic people train themselves to read better using AI and Microsoft Hololens. Vinculum – Re-uniting refugee families with their loved ones using low-cost phones and networks with high tech AI. CloudQuant Thoughts: Admirable for its 50-50 split between male and female participants and the goal of developing an application not for profit but to improve humanity. The first pillar is the belief that companies are ever-more efficient thanks to big data, thanks to artificial intelligence, thanks to technology in general. The second pillar of the bull market that we’re enjoying is the belief that we live in this world with excess capacity everywhere. CloudQuant Thoughts: AI is barely mentioned in this very long article. Even so, it’s contents are well worth a read. 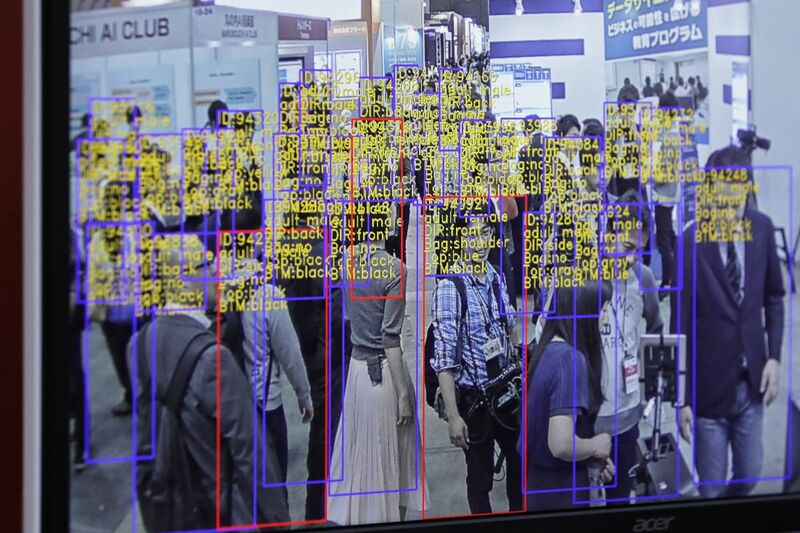 Bloomberg is reporting that SenseTime Group Ltd. has raised $600 million from Alibaba Group Holding Ltd. and other investors at a valuation of more than $3 billion, becoming the world’s most valuable artificial intelligence startup. The company, which specializes in systems that analyze faces and images on an enormous scale, said it closed a Series C round in recent months in which Singaporean state investment firm Temasek Holdings Pte and retailer Suning.com Co. also participated. SenseTime didn’t outline individual investments, but Alibaba was said to have sought the biggest stake in the three-year-old startup. “Do You Trust This Computer?”, about the potential threat posed by artificial intelligence, comes with a thumbs-up from Elon Musk, the CEO of SpaceX and Tesla who has long voiced serious concerns about AI. Musk is one of the prominent interviewees in “Do You Trust This Computer?” — which was made by Chris Paine, the filmmaker behind “Who Killed the Electric Car?” Paine’s new 78-minute documentary had its premiere on Thursday night, and is (was) available for free streaming through Sunday. CloudQuant Thoughts: It’s a pity we missed out of the free view but may be worth a watch! Thanks to advancement in technology, very soon, autonomous vehicles will be whizzing past your diesel or gas-powered vehicle. The car insurance industry will suffer a loss of $25 billion. This is huge, especially when you consider that the automobile insurance industry is worth $200 billion. CloudQuant Thoughts: I think this is a massive under-estimation. Insurance is dead, the manufacturers will offer it like a lease payment and it will be virtually nothing. …Advances in technology enable us to do much more than basic searches capable only of spotting precise phrases. Rapidly emerging areas of artificial intelligence and natural language processing work out the topics and context being discussed within the qualitative text. This way, investment firms can comb through reports instantly to spot subtleties, giving investment managers time to get to many more ideas. CloudQuant Thoughts: On app.cloudquant.com we have market data and news data back to 2011. Why not try to come up with your own hard-coded or ML driven algo? If we are familiar with a place, we use our memories and visual queues (familiar objects we recognize from previous visits) to get to the end-point. But what if there was no GPS and it was a completely new place? Once it gets the hang of a few cities, it can adapt to a new city very quickly. CloudQuant Thoughts: I have been programming algos for traders for years, part of that is process is teasing out unspoken thought processes and decisions. This particular DeepMind challenge intrigues me as I am currently teaching my daughter to drive. Part of that training is route planning, both in advance and on-the-fly. I wonder if Google’s child has learned to read its current direction from the environment and the time of day? Mine can!